What to do on the train when Jarom and June are napping, and Evan is playing (nearby) with other kids? 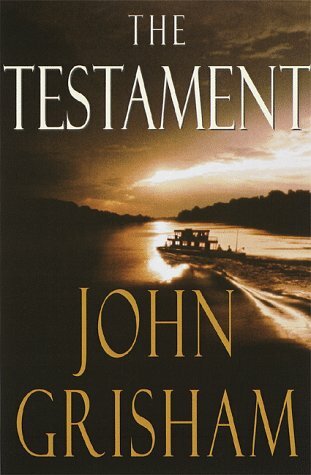 Of course, pull out the Kindle and download a John Grisham novel. Since Jarom has been interested in wills and estates as a field of law, The Testament seemed like a good choice. Troy Phelan is an old billionaire who hates his 3 ex-wives and 6 children. He agrees to an exam to determine his testamentary capacity – whether or not he’s in sound mind to make his will. Immediately after he completes the exam and the family members and psychiatrists leave, he presents a handwritten (holographic) will to his lawyer, in which he leaves his entire fortune to an illegitimate daughter, and then he jumps out the window. From the 14th floor. But really, the book is about trying to find the daughter, and about the lawyers for the rest of the family trying to get their “fair share.” It was interesting, if a little preachy, and I actually might have preferred if the family ended up suffering more. They were perfectly detestable.